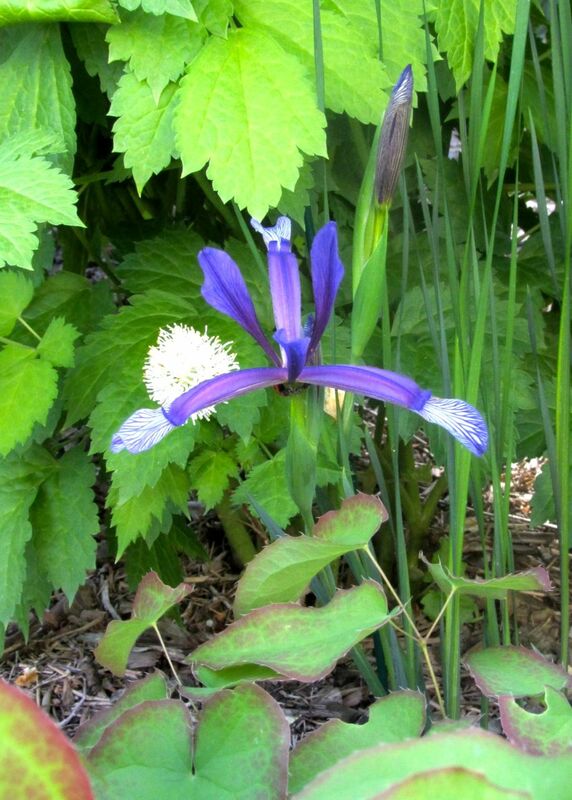 Iris hybrid - This is a twice blooming one, hardy and twice blooming even in zone 3. But, rather than the second bloom occurring in late summer/fall, these buds are held over the winter to bloom in the very early spring. Then the normal blooming comes later when other tall bearded Iris bloom, and is normal height. Fine show of Irises there Rick. Rick, I'll second that motion, really fine Iris, particularly love the unnamed twice-blooming hybrid with extra wide falcate leaves, mmmMMM good! Iris lutescens 'Campbellii' and in particular Iris reichenbachii, are stunning, and so are the photos. The last photo of I reichenbachii is so special, I would want to use it as my computer screen "wallpaper". We had our Chapter plant sale this past Saturday, and due to the very late spring, many of my Iris reichenbachii were blooming. Consequently, many more sold than would have otherwise. These all came from seed from the very nice yellow one above, but there was a range of colors from purple to light purple bicolors to yellowish, but no true yellows. Sorry, I meant to photograph all the variations, but in my haste I guess I didn't. I am the Plant Sales Chair and a major donator, and only had one day for most of the preparations. Iris sintenisii ssp. brandzae in the garden. Thanks Rick. I have the Iris sintenisii ssp. brandzae but only got the name after seeing your picture. one of the sunniest cities in Canada. Temperature range +30C to -38C. 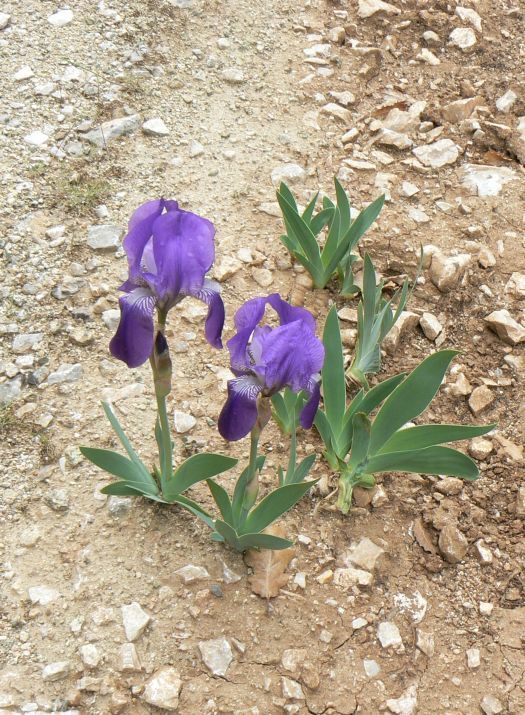 Rick very lovely Iris reichenbachii,i have seen it in the wild several times but always in blue. Here is a picture I took three weeks ago above Prespa Lake in Greece on the border with Albania. It was growing with a lot of others in the footpath. Always most interesting to see (I. reichenbachii) plants in the wild, Tony. I've been surprised at how deep the rhizomes sit when given a deep root run. Iris sintenisii ssp. brandzae seems to like some shade. I see you have an empimedium growing near yours, too, Krish. Behind mine, one can see the leaves of Colchicum x agrippinum and there is the tentatively named Epimedium pauciflorum there, also. The hosta is Mr. Isami Improved.